Ups and Downs is a conversation-building tool featuring a naked (and very pink!) little fellow who lives the whole gamut of our emotions. Out on the water, he faces the immensity of life from an absurdly inadequate vessel, a bathtub. Ironically, it’s this very absurdity that gives the images their resonance. For when we are as naked and vulnerable as ‘Everyperson’, it is often then that we discover surprising strengths within ourselves. 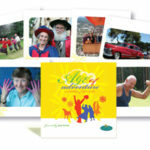 This card set can be used reflectively to survey and review our own personal journeys. It is ideal for therapeutic conversations about coping with change, choices and how we might hold on to clarity and hope when the fog descends. Which of the Ups and Downs cards sum up how you’re travelling now? Can you describe how you are feeling? Do you know where you are sailing to? How ship-shape is your boat? Do you have all you need to complete the journey? How do you feel when things are about to change in your life? Which card describes what it’s like when change happens? These cards can also be used for a range of fun and informal activities including icebreakers or as a stimulus for creative writing. Use them at a staff meeting to clarify where everyone is at. Use them in a supervison or mentoring scenario to talk about achievements and challenges. 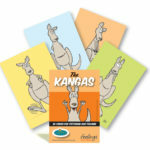 Highly appealing to people of all ages, the cards are also ideal for men and boys. 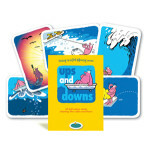 The 54 Ups and Downs cards present scenarios any bathtub sailor might experience: from the bliss of steady winds and calm seas to the terror of cyclones; from the relief of seeing the beam of a lighthouse to the anxiety of watching circling sharks. This is one of our most versatile resources for psychologist, counsellors, mental health workers, educators, managers and life coaches.